People who own iPhones, simply love using one. People who do not own any, aim for buying one. However, if you restore your iPhone by installing iOS9, it might seem difficult to operate and adjust the settings. This would give a new and different experience while using the phone. There are certain settings which are quite useless and get in the way of smooth usage. Listed below are some of the settings you should get rid of. The iOS9 has this new feature named GameCentre which will notify you every time anyone wants to be your friend on GameCentre and play a game with you. This kind of notifications might seem annoying to you especially if you do not prefer to play games very often. In such a case, you should turn off these kinds of unwanted notifications. Simply go to the setting and tap on “Notifications.” You would find all the names of the app under “include.” Just select the app you want to remove and toggle the allow notification to off. 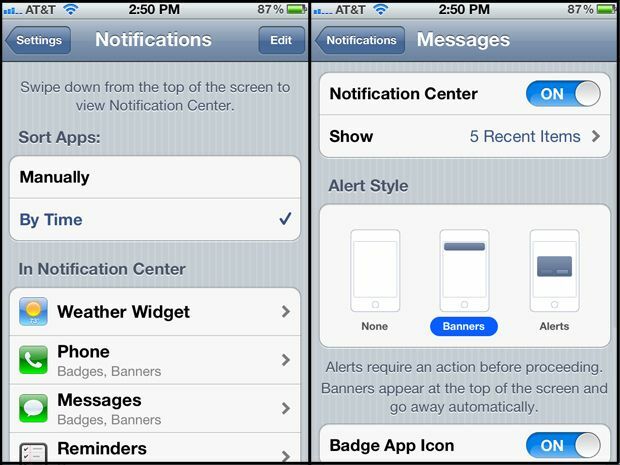 You will no longer get those unwanted notifications.